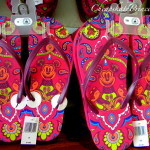 She provided several reasons why she didn’t have fun-fun-fun at the Happiest Place on Earth. And even after time has passed since she wrote the article, people have problems with some of her same issues. 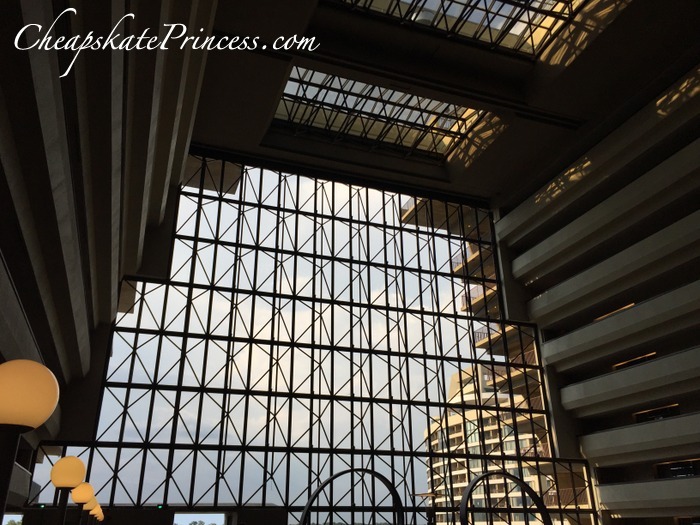 I consider myself to be a lifelong Disney vacation traveler as well. And while I thought Ms. Heitger-Ewing made some valid points, the reactions on Huff Post were pretty brutal. Many people commenting felt like she sounded privileged and whiny. Several Cast Members left comments, all of which seemed to pick up on the whiny and privileged vibe many of Kristy’s readers struggled with. I get it though. Everybody loved OLD DISNEY, all those special memories made in years way past, and many people find themselves barely tolerating NEW DISNEY with the fancy technological gadgets and stuffed into park lines like sardines. Not everybody is appreciative of the millions of dollars spent on NEW DISNEY technology upgrades to help you have a pre-planned down-to-the-hour vacation at…the Happiest Place on Earth. Can we talk about problems vacationers face with present day Disney vacations without coming off as privileged and whiny? 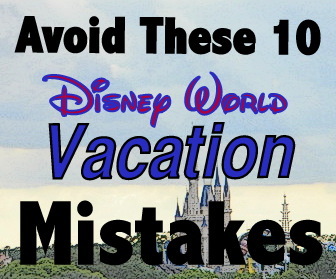 I definitely thought the author made several valid points, and there are a couple of ideas to consider to ensure you have an efficient and pleasurable vacation to Orlando. 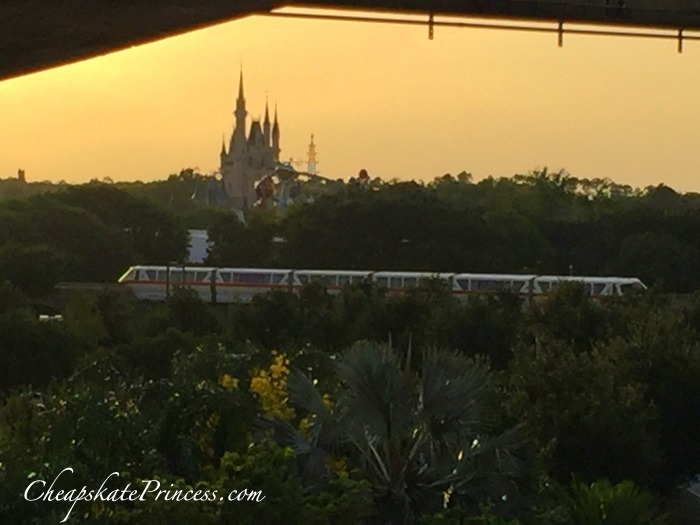 I’m going to give you the shortened version of her article (that will be colored in blue), which you can read in its entirety here: For the First Time in Forever… I Did Not Enjoy My Vacation to Disney World.) I just used the most relevant parts of her arguments. 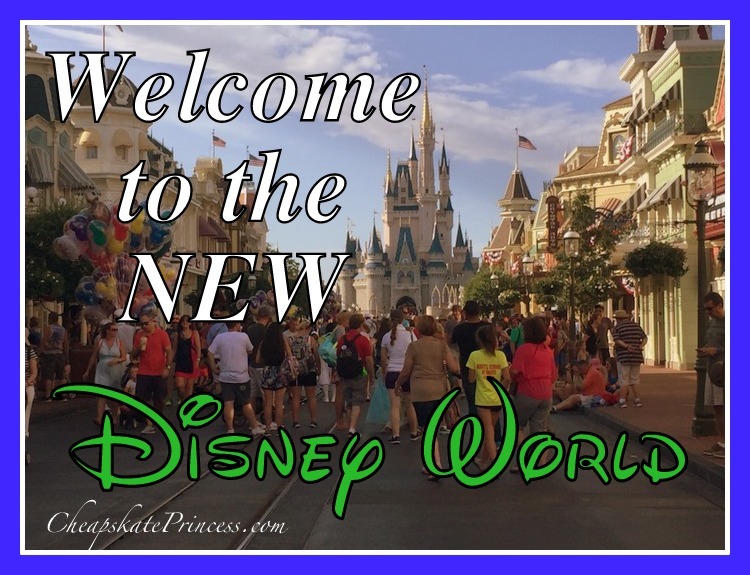 I’ll also give you my brief thoughts on Disney World, because it has changed a lot since OLD DISNEY. If you’ve been to Disney World within the last ten years, be appreciative and don’t take that financial accomplishment for granted. Many people are still saving up for their trip. 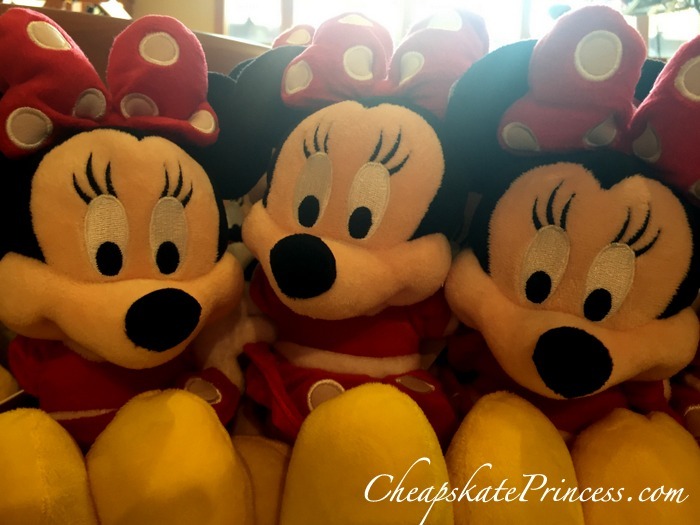 If you are reading articles like this to help plan your next trip, then fasten on your Mouse ears hat and let’s get this planning party started. Let’s talk about the era of NEW DISNEY. 1. Magic Bands are in no way magical. MagicBands are completely NEW DISNEY, and like Tinker Bell waving a wand, they do incredibly magical things we did not have the ability to do in the OLD DISNEY era. 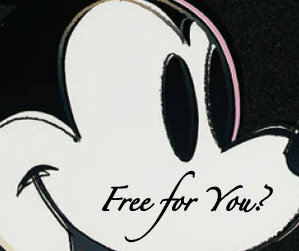 Use the MagicBand and a valid park ticket to enter theme parks and water parks. Connect your Disney PhotoPass images to your Disney account. Enter your Disney resort rooms, as this is the new room key, having replaced plastic key cards. Charge food and merchandise purchases to your room. Identify yourself when you pass through theme park parking plazas. I am in charge of one computer, and I have issues with something or other going wrong every day. I can’t even fathom the amount of computer STUFF that goes into managing all these thousands of vacations, from dining to rides to entertainment for literally tens of thousands of people. That’s not making any excuses for the Disney Company. 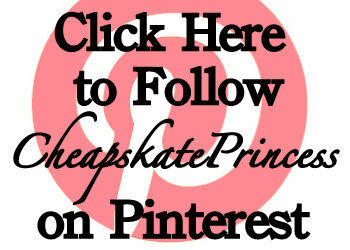 It’s their job to get it right, especially given the prices they charge. With the positives of new technology come the risks of computer glitches. But nobody is perfect, no company is perfect, and if you head into your Disney trip expecting perfection (in any areas including technology), well, you’ve set yourself up for disappointment. Christy’s first gripe was technological things go wrong, and it’s certainly true MagicBand issues can arise. The Disney Company is also a corporation known for bending over backwards in most instances to solve problems and make their customers happy, or happier than they were. They have fixed issues for my family too many times to mention; I would personally vouch for their high level of customer service when things go wonky. While technology problems can certainly affect any trip, I know more people who have been pleased with their MagicBand experience than they have been displeased. And since Ms. Heitger-Ewing’s trip in 2014, lots of behind the scenes tweaking and upgrading has occurred. If she vacations at WDW again, she may not have technology problems that occurred just after the initial MagicBand rollout several years ago. You probably won’t either, so relax. If you do, it’s not a vacation ender. Just be glad you’re there and move onto the next attraction. Our Tip: make sure you make FastPass+ reservations ASAP, which is 60 days out for those staying on property and 30 days out for everyone staying off property. Other Tip: Make ADRs (Advanced Dining Reservations) 180 days before your trip, just in case. You can cancel these 24 hours before your time slot if you change your mind. 2. I don’t enjoy cozying up to the crowds. Old Disney: You rode everything, sometimes twice, surrounded by very few people, and it was pure magic. NEW DISNEY: The parks are packed from dusk ’til dawn. If you don’t want to go on vacation with a large amount of people, I will suggest heading to the beach. People LOVE Disney World, and they flock there in droves. I am not the first Disney writer who prophesied that if the kids are out of school, the whole world will descend upon Orlando. Between Christmas and New Years, the crow levels are simply insane. You will be surrounded by loads of people everywhere, but this isn’t a NEW DISNEY thing. There have always been crowds at Disney World. It’s just that many of us still remember OLD DISNEY, where there were more downtimes with fewer people, when you could walk right on rides in the afternoon. It’s hard to find a truly slow time at Disney World anymore, but through research and proper planning, there are better times than others. 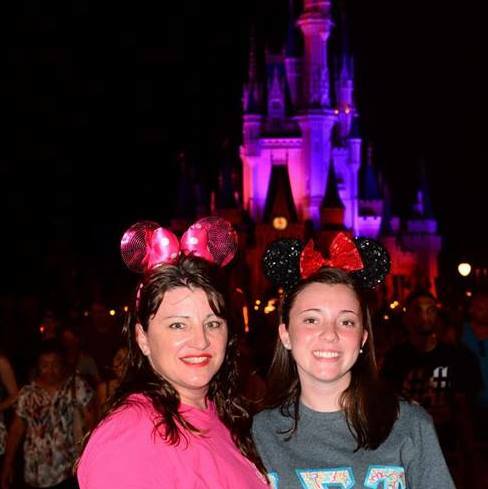 Ms. Heitger-Ewing is correct in that Disney is indeed busy, so do your homework and plan a trip when it’s less busy. I have no problem recommending to planners that they take the kids out of school. 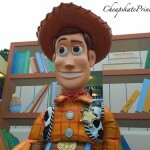 (Read these tips from our readers: Should You Pull Kids Out of School for a Disney Vacation?) Traveling when school is in session is easier for some people than others, and the age of the child certainly factors into this decision, but for what you pay for your trip, the fewer people in line ahead of you, the better. Have the kids get that school work made up. Our suggestion on times to go and times to avoid? Trekking happily through Disney World with few people hanging around riding roller coasters during off-season times a year is OLD DISNEY, and man, don’t we all miss it. 3. Spontaneity no longer exists at Disney. I miss the days when I could go to Disney World, get up in the morning, and consult with the family about where and how to spend the day. We could make decisions based on mood, weather, and majority vote. But the “fly by the seat of your pants” approach simply can’t be done anymore at Disney. Now you must plan out your every movement–from parks to rides to meals–and you must do so several months in advance. I can seriously commiserate with Ms. Heitger-Ewing here, as I miss park spontaneity too. For many people who grew up in OLD DISNEY, planning was just picking your dates to go and map out what day you would visit what park. Not that people didn’t plan. Travelers planned character and table service meals in advance, just not so far in advance. I remember taking my husband to Orlando for his first trip in 1993. I read a guide-book, the name of which I can’t recall, and made a schedule of what rides we should ride and in what order. I pulled the paper out of my pocket and referenced it for days, as we two adults at Disney (before we had kids) ran from ride to ride to beat the summer crowds. But my family didn’t make any dinner reservations before 2013, and I miss being able to FASTPASS (that’s OLD DISNEY speak for FastPass+) the same ride over and over. 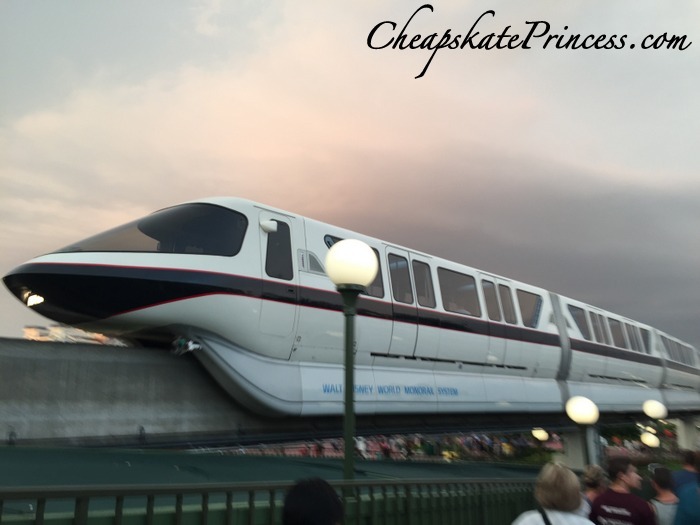 I miss wandering around Magic Kingdom without fear of missing a FastPass+ ending time, because in this new era of set-in-stone ride return times, that’s like accidentally dropping gold out of your pocket. I remember what it was like to feel relaxed at Disney, and having that memory really does color all future vacations with the Mouse. 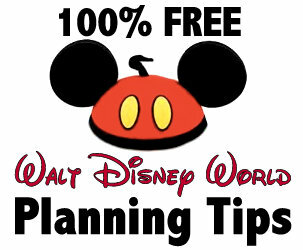 The huge amount of pre-planning and scheduling required for a WDW trip these days is all NEW DISNEY. My husband, who thought my paper ride list was silly back in ’93, loves FastPass+ for the ability to plan and organize months in advance. And like many people who have started using the NEW system, he feels like it has made his vacation more enjoyable. We now have FastPass+es after 7 p.m. thanks to pre-scheduling, which never happened before unless we stayed in the park all day during a slower time of attendance. You are either going to love NEW DISNEY planning or hate it. 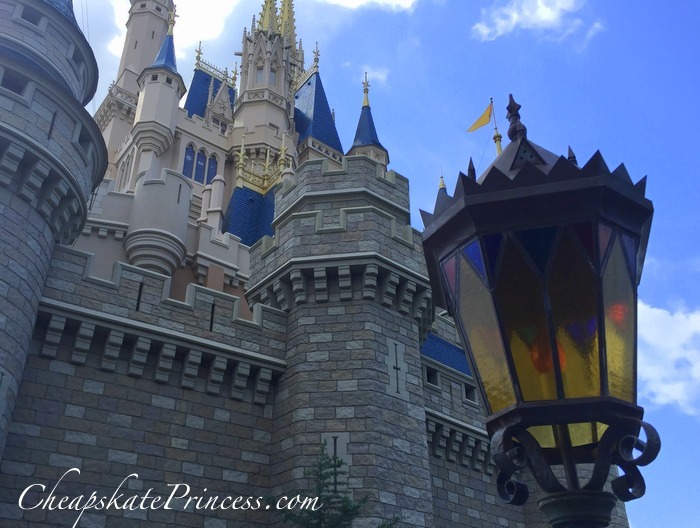 If you grew up taking vacations at Disney Parks, you may not be a huge fan. 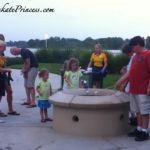 If Disney trips are new for your family, then you are probably just following the crowd in terms of learning the ins and outs. At Old DISNEY, my sons could ride Space and Splash Mountain over and over. For hours. NEW DISNEY is nothing like that at all. 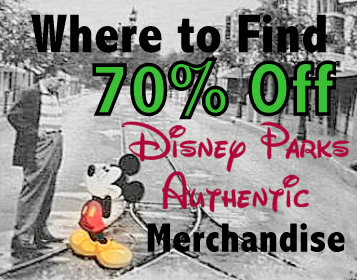 We highly recommend you do some research on MagicBands and FastPass+. Study up on the deal-i-o. 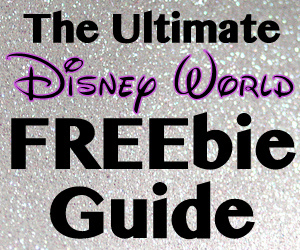 I suggest reading this guide by touringplans.com about MagicBands as well as this guide by touring plans.com on FastPass+. They explain MagicBands and the FastPass+ tier system far better than I ever could. Study up and follow up. The thing I most noticed about this trip was how stressed I felt about time–all of the time. I stressed about how and when to eat, sleep, and navigate the parks so that we wouldn’t miss any of our dining or ride reservations. 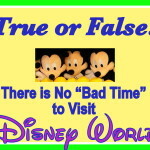 You have to remain vigilant of the schedule because there are various parades, firework shows, and Fast Pass tickets. I can’t say I enjoyed spending my vacation in a state of constant stress, though the upside was that I actually looked forward to getting home where I would no longer have to be a slave to the clock and the calendar. As I said, I can still recall enjoying relaxing vacations at Disney. Barely. The older I get, the more that memory fades. Relaxing is a relative term, actually, but again, I see Ms. Heitger-Ewing’s point. Walking miles a day, standing in long lines with loud strangers, with my often whiny and grumpy kids, dealing with the heat..hey, that’s still OLD DISNEY. We did all that back before the computerized planning and scheduling months in advance became the norm, so by relaxing, I mean I wasn’t clocking in at work. I rested my feet in the Tiki Room, or caught a nap in a dark ride. Back in OLD DISNEY, we still went home tired. NEW DISNEY has simply upped the stress level by enabling you to take more control over your vacation, even those of us that didn’t know we needed or want more control. (Trust me – I did NOT ask for or want it.) NEW DISNEY has turned vacation planners into scheduling fiends, and that wasn’t what many of us long time Disney travelers wanted in our vacations. You only have three FastPass+ rides to begin with. Make sure you schedule your rides where you don’t exhaust yourself to get there, as in do not cris cross the parks if you can avoid it. Be sure to arrive before the Fastpass+end times. 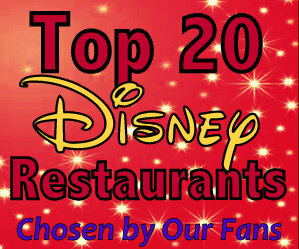 Be sure to Make Advance Dining Reservations for restaurants you know you would like to enjoy. Other than that, just do and see what you can do. 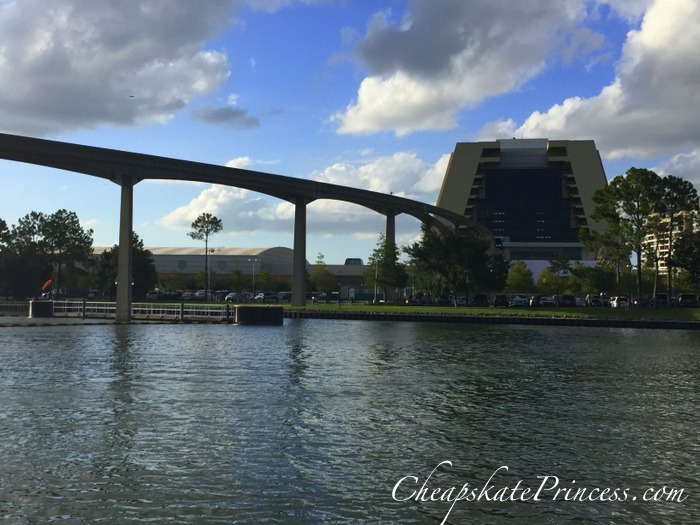 Plan a “down day” where you go to zero theme parks but enjoy other Disney activities, like resort hopping, dining, shopping at Disney Springs, or swimming in your resort pool. Sleep in or take a nap. There are incredible spas on property, and golf, and mini-golf, and the list of activities that don’t involve an hour wait in a line is pretty vast. 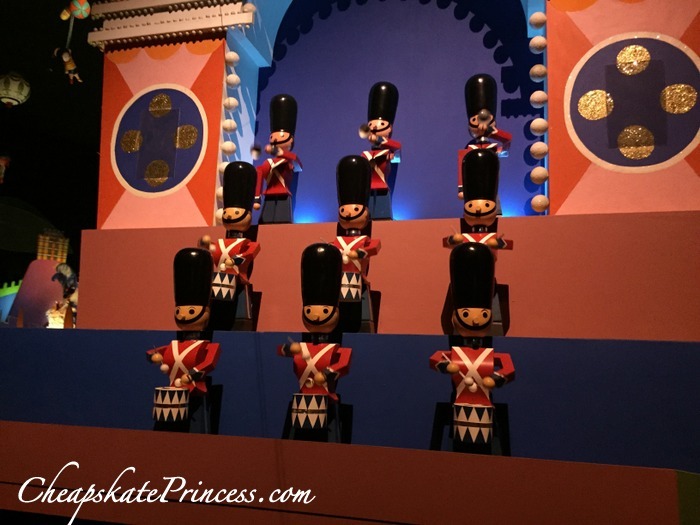 There is more to Disney World than riding pre-scheduled rides and standing in lines. In our opinion, if it’s free, it’s probably less stressful. Check out this list of less-stress entertainment. 5. Rides have been refurbished with fresh germs. The newest ride at the Magic Kingdom is the Seven Dwarfs Mine Train. The newest refurbished Epcot ride is Test Track. Both include interactive games where riders use touch screens to pass the time while waiting in line. While I’m sure many folks see these screens as massive fun, I see massive germ spreadage. Cough, cough. Touch, touch. Sniffle, sniffle. Touch, touch. Aa-choo, aa-choo. Touch, touch. Lordy, just give me that poison apple to hasten the process. Ok, so Ms. Heitger-Ewing’s point is that with so many people coming through the parks, germs abound. Travelers, this is straight up OLD DISNEY, only modernized with more theme parks and record levels of attendance. I still remember that stomach bug I contracted in 2012, and my memory goes back as far as some vomit-inducing bug I picked up on a vacation seriously-way-back in the 7th grade. I touched everything I could get my germy little hands on from my first trip at age five, and I still find myself touching the Pirate castle walls and the chain line dividers. Germs have always thrived in populated places where kids touch everything in sight, hello Chuck. E. Cheese and public swings! Having lost an entire day in 2012 to a sickness I obviously contracted while in a Disney park, I see her point. So take precautions and try to avoid picking up a nasty puke bug. Have everybody wash their hands, and when a sink isn’t handy, use hand sanitizer. 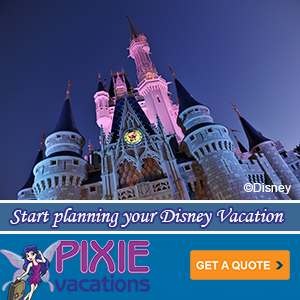 Read: Disney Vacation? Better Bring Hand Sanitizers! Ms. Heitger-Ewing’s summation of her Disney trip. I suppose the old adage is true: ‘What Dis-ney-ot kill you only makes you stronger.’ Nevertheless, I would prefer returning from a vacation feeling rejuvenated, not stronger for having survived it. This trip tested my patience, tenacity, immune system, and ability to continue peeing even as the public toilets repeatedly self-flushed during mid-stream relief. I’m sure there are legions of people who will assert that Disney is as awesome as ever. I just don’t happen to be one of them. There is no doubt some people completely spaz out, flip out, and freak out on vacation. I described what I’ve seen here: If You Do This on a Disney Vacation, You May Totally Regret It Later. If you truly want a completely relaxing, less crowded and less germ-filled vacation, head to a chair on the beach. 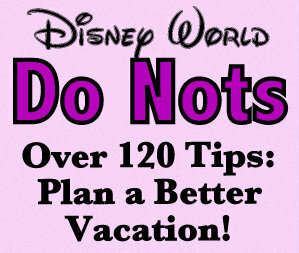 Or simply do some research and plan a better Disney vacation. There doesn’t seem to be a supreme best time for Orlando travel anymore, so pick a better time to travel. Wash those germy hands. 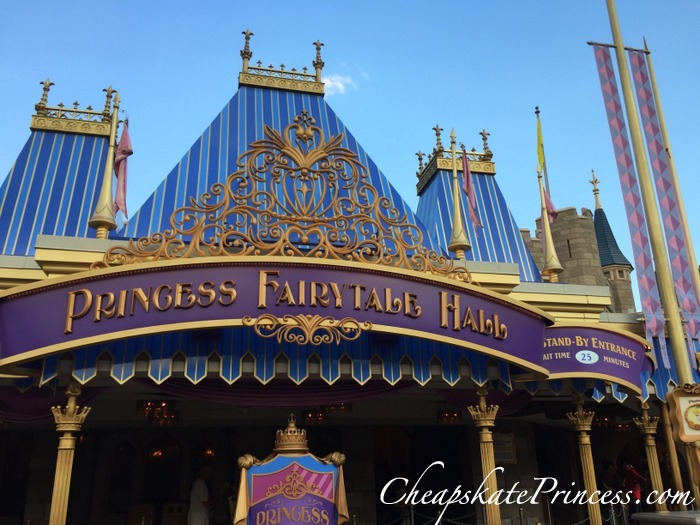 Make your FastPass+ and Advanced Dining Reservations ASAP. You can’t pull an OLD DISNEY and just show up anymore if you have a list of rides and restaurants that are must-dos. 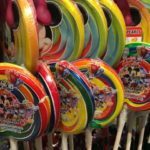 You probably won’t feel rejuvenated after a Disney vacation, but Disney theme park memories are definitely different from beach trip memories. If people didn’t love Disney World as passionately as they do, the beaches would be packed and the rest of us would all be walking right onto Space Mountain. Christy Ms. Heitger-Ewing probably won’t be in line, so that’s one less person blocking your way to Toy Story Mania. Thanks for stopping by, and we’ll see you checking you watch, making sure you won’t be late for your relaxing mid-day vacation nap, just in time to head out for some NEW DISNEY fun!